Ah, remembered about mom, I also could not get away the meals she often made for us. I’m craving this meal the most. 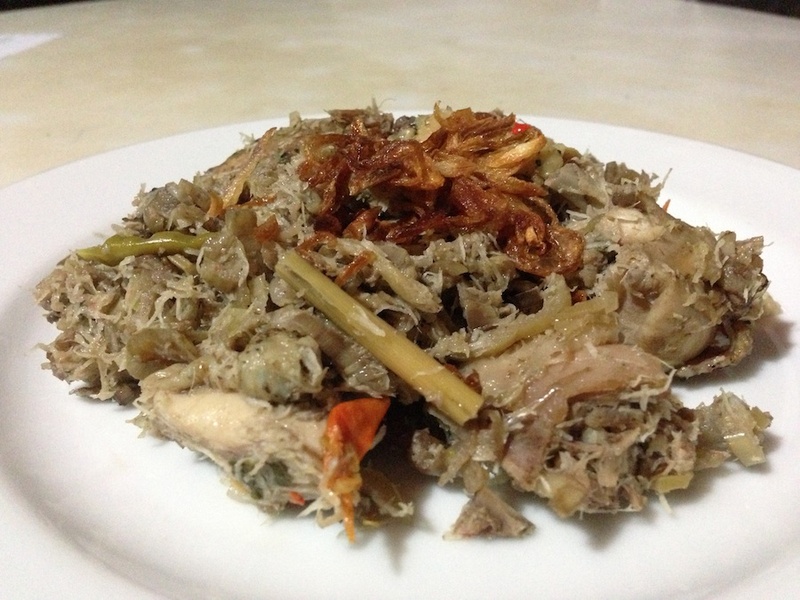 This is special dish from Toraja, which basic ingredient is the core part of banana’s stem. It goes well with organic chicken from my dad’s farm. LOL. Even though most of people from Toraja (especially who live there) know how to make it, I haven’t met one who could make it the way my mom did. Since the stem of Banana is succulent, it needs a kind of skill to steam the mixture of watery minced stem of banana and the firm meat of organic chicken in order to get the best serving of this meal. To get the best of it, to my preference, the water content that comes from the banana’s stem is supposed to be dried out and the chicken is not mushy, but soft. When I think again about it, it’s quite difficult chore, so that’s why to serve its best, I think someone must have skill and some sense of art in cooking. When I turned back to the times when I watched my mom prepared this dish, I thought it also needed patience in making it; start from figuring out the best stem, then peeling out the stem’s layers one by one until we found the edible part. Furthermore, the edible stem was supposed to be long enough to feed our whole house member since the raw ingredient usually shrunk into a half of it after the process, so my mom usually had at least a meter long. After finishing such a complex preparation, my mom’s basic ingredient was ready to cook and she usually used a frying fan instead of filling it in bamboo’s tube, which is commonly used in steaming this dish. She put all the ingredients, included the small pieces of chicken. We usually added the whole basic ingredients, except the grated coconut since I didn’t like it on my Burak. There, we came to the last step when patience was still needed, so was the skill, and also what I called my mom’s sense of art in cooking. 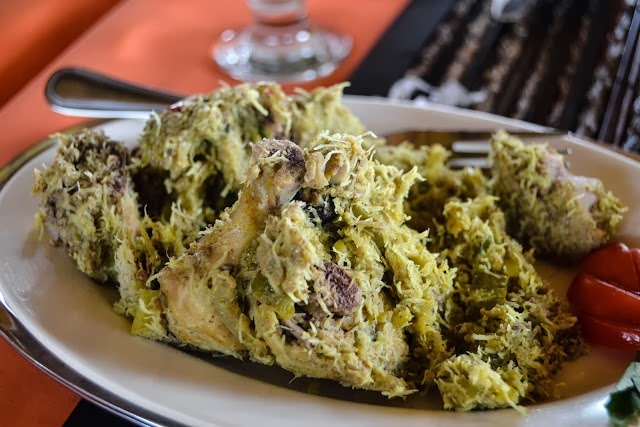 How I couldn’t say so, when I hoped for the best serving as I mention before, A serving of dried Burak with soft chicken, not mushy. That was kind of Burak that I’ve been longing for so long, but I couldn’t get it, so I posted this post instead. *I still have a long list of my mom’s recipe though*. So, could you imagine how Torajan (my mom) turned a one meter banana’s stem into something delicious? Can you handle such a meal? Baru tau Yun kalau ada masakan seperti itu, rasanya maniskah? Senang deh, semangat baca artikel ini. 🙂 Thanks. Next Next post: What Song Are You Listening to?